Before you start this review, I'm going to need you to do something. Go to your kitchen, grab yourself a large Tupperware container, and place it under your computer screen. 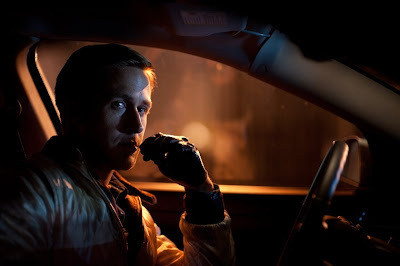 You're going to need that to collect all my drool, because even though we’re entering the best time of year for movies, I'm pretty positive I just found my number one, and it’s Drive baby. It's all Drive. Now this movie isn't going to be for everyone. As someone noted in the comments section the other day, there's an article out there about how disappointed audiences have been with this film. The reason for this seems to be the age-old marketing dilemma of trying to bring in the widest audience possible - even if it means misleading your customers. So they sell this as Fast Six, and you get Fast Six, but the way a 25-year-old Terrence Malick would direct Fast Six. The thing is, that's why I loved it so much. And this is coming from somebody who was expecting the worst. I finally saw Everything Must Go the other day, which you may remember was my favorite script at one point. Watching that movie was an exercise in futility. What seemed so alive on the page felt dead on the screen. And I'm not even sure why. My guess is the casting of Will Ferrell. I just kept waiting for the guy to say something funny and he never did. I'm not sure he's interesting as an unfunny person. And since the whole movie was based around him, I guess that's why I was so bored. Drive was the opposite. As you know, I loved the script. I gave it an impressive and put it in my top 10. But after hearing such mixed reactions about the film, revolving around all the cutting and the minimalism, I was expecting some weird control freak European director who thought it was more important to impose his vision on a film than tell the great story he'd been given. Man was I wrong. Somehow, Refn figured out a way to take a script that was already great, pare it down to its bare essence, and in the process make it better. This guy is just an amazingly talented director with such a unique voice. You can't write the way it feels to watch Gosling drive through the neon lighted nighttime streets of LA with a soft focus lens and an errie techno pop song playing over the radio. It conveys the loneliness and isolation of this character within 5 seconds, something that might take three or four scenes in a screenplay. And Gosling - I've had my problems with this guy in the past. I mean, I wanted to slit my wrists during Lars And The Real Girl. And I'm not sure I like how seriously he takes himself. But man, did that come in handy here. This guy has moments where he conveys the same screen presence as a young DeNiro. When that guy approaches him in the bar and asks him about doing another job, and Ryan turns to him and says if he doesn't walk away he's going to kick his teeth in, I mean, I don't think I've been more convinced by a performance this year. He just embodied that character- and that wasn't easy to do since so much of his performance was internal and restrained. Brad Pitt is getting all this credit for his restrained performance in Moneyball. 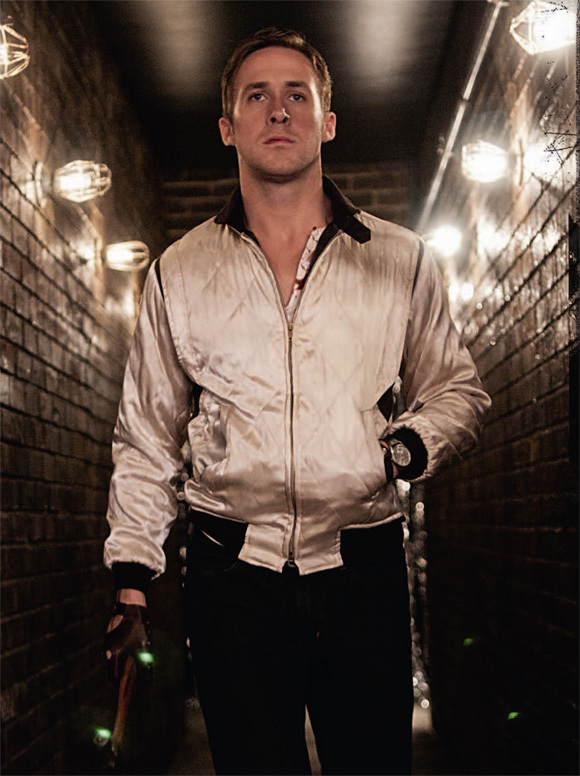 But Gosling's performance puts him to shame. Gosling’s character is not an easy character to get the audience to like either. He doesn't say a whole lot. We don't know much about his past. So the writer and director look for little moments here and there to build that trust between you and the character. We see the way he looks at Carey Mulligan's son for example. We see him smile whenever she comes around. And of course, we see that he cares so much for this family, that he actually puts his own life in danger to help the husband pay back the money he owes, so the family will be safe. That's another thing I loved about this script so much. There were so many layers going on. You're saving the two people you love, but in the process you're creating a scenario where those two people can never be yours. It was interesting to see how much they carved out of the original screenplay (namely the dialogue), and how much it actually helped. Dialogue can become a writer's own worst enemy. It's so much easier to tell the audience something than it is to show it. It takes time to think of the "show." And writers are lazy when it comes to that stuff. Why try to think of a clever way of one person showing another person how much they love them when they can just say "I love you?" Never forget that filmmaking is a visual medium. Try to tell your story as visually as possible. And if you have any questions on how to do that, watch this movie. And the strange thing about the dialogue is if I showed it to you in a vacuum, you’d probably think it was pretty bad. Or at the very least, boring. 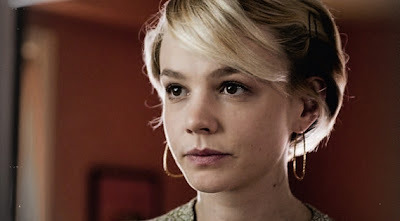 For example, we get a scene where Ryan comes into Carey’s apartment for the first time, and the extent of the conversation is that she asks him if he wants some water. Not exactly Academy award-winning banter here. But you have to remember, it's not the dialogue itself that matters, but everything surrounding it that adds context and subtext to it. So in this case, we feel Gosling’s restraint. He doesn't usually get close to people. Being in this room, enjoying a moment with another human being, goes against everything he's about. And yet there's a part of him that's attracted to this girl. So, "Do you want a glass of water?" takes on a whole other context. Because saying yes means he's going to stay here a little longer, something he'd normally never do. This is screenplay 401 stuff here - the kind of things you should be ingesting into your very screenwriting soul. It's just really good writing. Probably the biggest shocker, and the biggest difference from the script, was the violence. I'm not sure how I would've felt if I hadn't been prepped for it. But I thought it was great. I remember these same complaints were coming out of A History Of Violence - that we had these needless graphic violent moments that added nothing to the film. 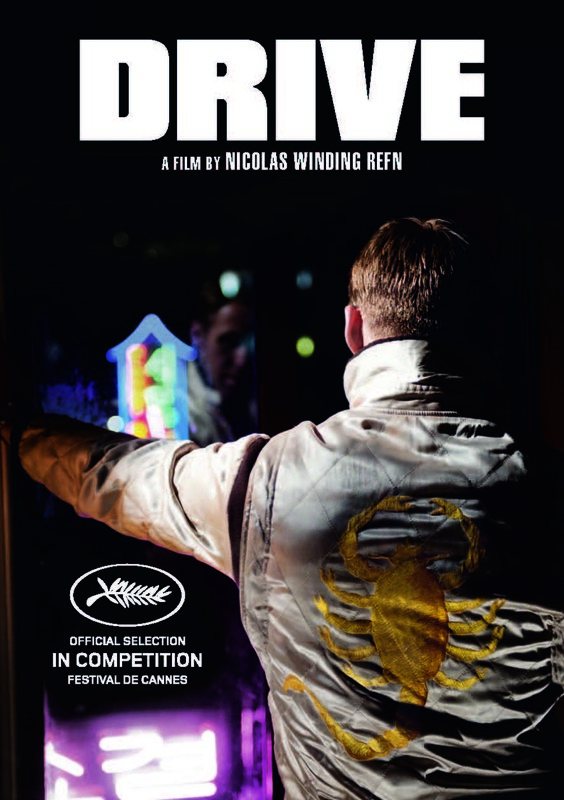 But with all that quiet in Drive, with Refn ’s minimalist approach, the violence jumped out at you in a way that it doesn't jump out at you in other movies. 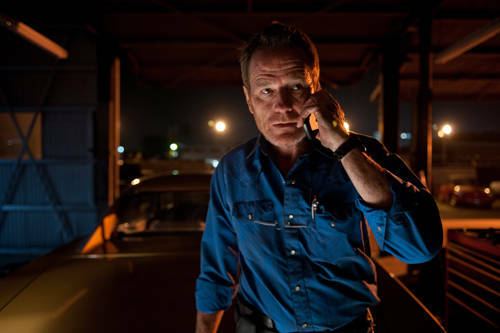 These days, you see these movies with mindless violence from the first frame to the last. After a while, the violence doesn't mean anything to you, because you get used to it. Here it's the exact opposite. Refn sets you up with these long flowing sequences of restraint, and then the next thing you know Christina Hendricks’s brain is being splattered across the bathroom wall. The other huge addition was the music. I've said this before, but it doesn't matter how elegantly you convey music in your screenplay. If the reader isn't listening to it, he's not going to feel the same way he's going to feel in the theater. This was a huge gamble by Refn . There was a lot more dialogue in the script - a lot of which was built around Ryan and Carey’s relationship. Here, it's all looks against music. It's a drive down the Los Angeles River against music. It's him hanging out with the family against music. This is one of those areas where the director - as long as he knows what he's doing - can change entire scenes because he knows he can convey the exact same emotion that the scene in the script conveyed, but through images and sound, as opposed to two people talking to each other. Another smart move was keeping the film short. It's under 100 minutes. Whenever you write a movie where there's little dialogue, you have to keep it short. Audiences aren't used to silence. They aren't used to characters not talking. So you're already making them uncomfortable. If you try to extend that out to two full hours, you're going to have a lot of inpatient people on your hands. Just with the length of the movie now, you have people who feel that way. So when you take chances like this, it's a really good idea to keep the story as clean and quick as possible. Speaking of that, I'm shocked with just how much plot they were able to put into this movie with so little dialogue. Actually, maybe that's the reason why they were able to get so much plot in. Because we didn't have these three or four min. scenes with people talking, Refn was able to throw a lot more plot in. I remember reading the original script, which was over 120 pages, and I don't think they lost a single plot point in this 97 page version. That's really impressive, and proof that you don't always need characters explaining things to get your plot across. Maybe I'm looking at this through rose colored glasses, but I can't remember a single line of obvious exposition in the film. I mean you have to give it up to any writer and director who are able to pull that off. I don't really know what else to say about this movie. I just loved every single second of it. As a fan of movies, I loved how different it was, how much restraint was used, how the writer and the director were constantly looking for different ways to convey the story. I mean, tell me you weren't affected by that elevator scene. It'll be interesting to see what happens with this film come Oscar time. Will it disappear? Will someone get behind it? It seems like the perfect kind of contender because people have such strong feelings about it one way or the other. But I'll tell you what. I love this movie. I think right now it's the best film of the year. As I look back on it, I can't think of anything I would change. This is pure filmmaking and pure storytelling. It's films like this that make me proud I'm a small part of this amazing medium. [ ] What the hell did I just watch? What I learned: This reminded me to always look for a visual solution to a problem as opposed to a dialogue solution to a problem. One of my very first film school teachers made us write a scene where one person broke up with another, but we weren't allowed to use dialogue. It's a great way to look at your scene. Maybe dialogue is still the best way. But the right visual solution always makes the scene so much better. Final Day Of Final Draft Sale! I didn't change the look of the site.